2017 was a year of development and collaboration for Little Sparrows Technologies. We focused on readying the bili-hut™ for its 2018 US launch and expanded our global initiatives. In May, Donna (CEO and founder) and Gary (COO and co-founder) traveled to Geneva for the World Health Organization's World Health Assembly. Donna and Gary presented on data collection methods used at our global sites as well as the treatment successes of the bili-hut global™. In 2017, we worked with industrial designers and manufacturing firms to transform the existing bili-hut™ into a manufacturable and user-friendly product. We also rolled out a new era of branding featuring a very cute Little Sparrow. Little Sparrows Technologies was a finalist for the Saving Lives at Birth 2017 DevelopmentXChange for our Jaundice Case Management Package for low resource areas. Donna attended the event in Washington, D.C. and presented the bili-hut global™ to international clinicians. She discussed future solutions to improve newborn and maternity care across the globe with other innovators. Read about our project and global initiative here. 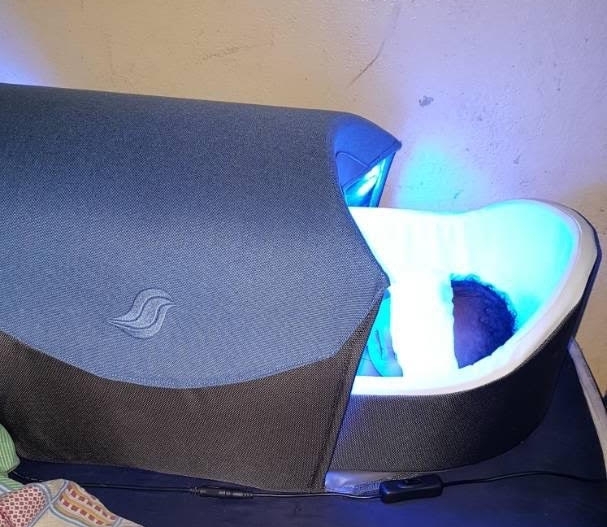 Little Sparrows Technologies believes that proper jaundice management goes far beyond phototherapy treatment. We tackle neonatal jaundice on a systemic level. 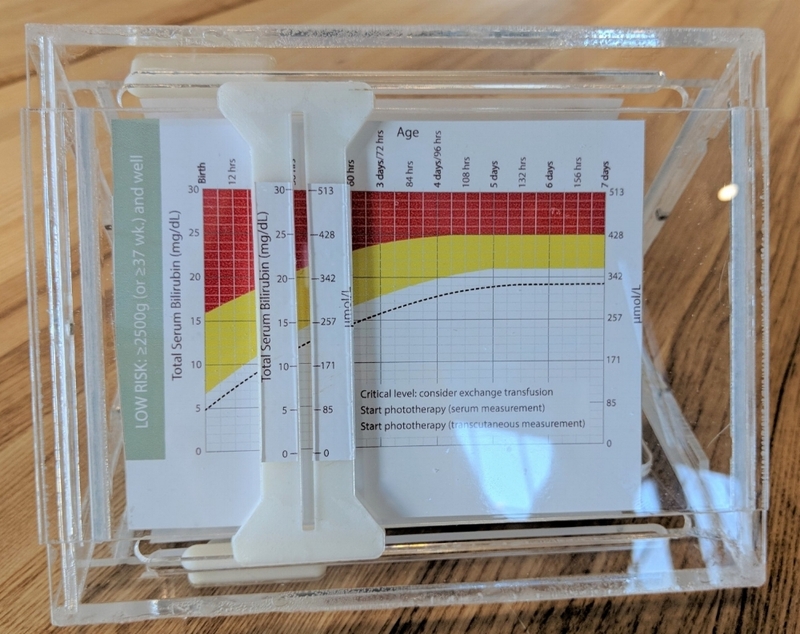 Before beginning treatment with the bili-hut™, we wanted to provide clinicians with a user-friendly, portable, and accurate way to decide which neonatal jaundice treatment path would be most beneficial. With these needs in mind, we created the bili-buddy™. Using the bili-buddy™, clinicians can quickly find the best treatment path for their patients. Nolan and Phoebe were our interns for the summer of 2017. Nolan developed the structure and manufacturing of the bili-buddy™, while Phoebe worked on business development and marketing. Work with our global sites continued throughout 2017. We successfully sent out new iterations of the bili-hut global™, created a new data reporting system, and continued to grow and create international relationships. Through these changes, our sites treated over 125 babies using the bili-hut global™. Click here if you are interested in becoming a global partner. August 2017 marked LST's one year anniversary of incubation in the Autodesk BUILD Space in South Boston. We used Autodesk software and a variety of tools to improve and accelerate our designing, prototyping, and manufacturing. Notably, we used the IRB 1200 robot to test the lifetime of different material options for the bili-hut™. In September, Carly, Shreyas, Donna, and Erica traveled to Chicago for the AAP National Conference and Exhibition. The Sparrows presented the bili-hut™ and bili-hut global™ to hundreds of clinicians and collaborated with other newborn care companies. September was a very busy month for the Sparrows! From the AAP NCE in Chicago, Donna hopped on a plane to New York City to attend the United Nations General Assembly as an invitee by Every Woman Every Child. Donna presented the bili-hut global™ and the bili-buddy™ and spoke with other impactful innovators. President Bill Clinton visited the Autodesk BUILD Space in November. He toured and spoke with different BUILDers in residence. We shared our passion for improving infant care worldwide, and President Clinton spoke about the global impact of the Clinton Foundation, particularly regarding their HIV/AIDS Initiative. Happy new year from all of us at Little Sparrows Technologies. Follow us on Twitter and Facebook to stay updated on our progress and chat with us. We would love to hear from you!